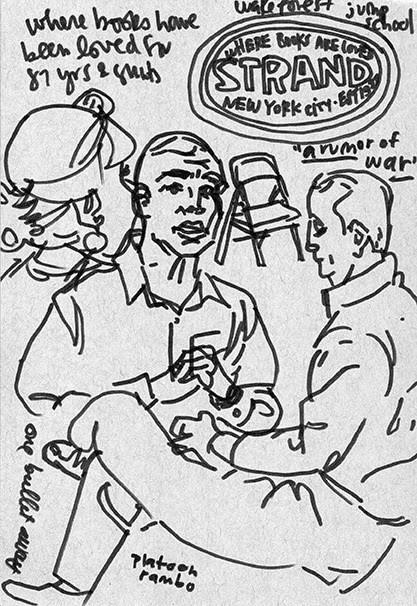 I enjoyed the Writers on War panel discussion among veterans, writers, veteran writers, and creators hosted by The Strand yesterday evening, and thought I'd share some of the drawings from my sketchbook of the speakers. Peter Molin introduces while audience listens. 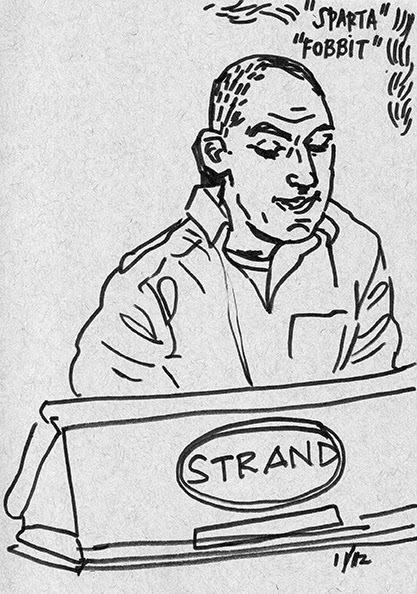 Adrian Bonenberger reads from his latest, Afghan Post. 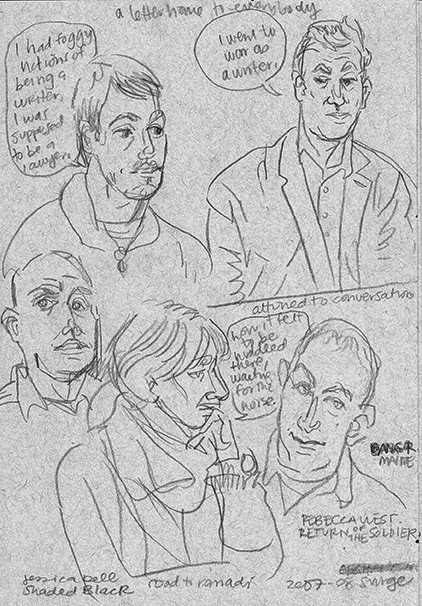 Roxanna Robinson, Matt Gallagher, David Abrams, and Adrian Bonenberger. 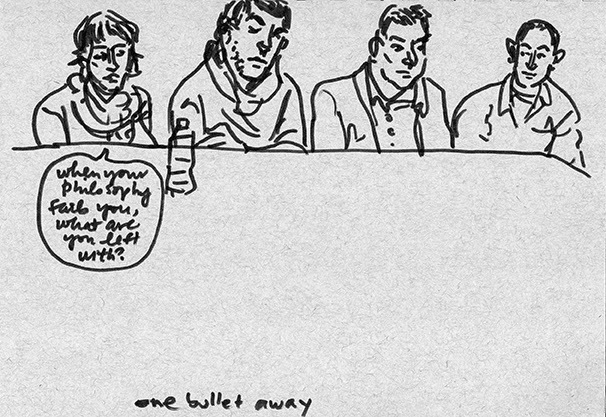 Matt, David, Peter, Roxanna, and Adrian.